The Seahawks officially completed an overhaul of their strength and conditioning staff Friday by announcing the hiring of Ivan Lewis as the head strength and conditioning coach. The team also announced that Lewis, who held a similar position at the University of Washington from 2009-13, will be aided by strength and conditioning assistants Jamie Yanchar, Mark Philipp, Thomas Garcia and Grant Steen. Seattle had released head strength and conditioning coach Chris Carlisle at the end of the season as well as several others on the strength and conditioning staff. Carlisle had headed up the strength and conditioning staff since coach Pete Carroll arrived in 2010. Yanchar previously had been reported as not returning but will instead come back to the same role under Lewis he had held since 2010 under Carlisle. Yanchar also worked with Lewis at USC under Carroll. The Seahawks also announced they have promoted David Stricklin to head athletic trainer, replacing Donald Rich. Stricklin has been with the Seahawks since 2010 as an assistant athletic trainer, and before that was an athletic trainer at Oregon State. And the team also announced it has added two assistants to the offensive coaching staff — offensive assistant Austin Davis and assistant wide receivers coach Brad Idzik. Steve Shimko, who joined the Seahawks last year as an offensive assistant, will take on the title of assistant quarterbacks coach in 2019, the team announced. The Seahawks had an opening on the coaching staff with the departure of longtime quarterback coach Carl Smith to Houston. Smith had moved into a new role last year as associate head coach. Davis was the Seahawks’ backup quarterback in 2017 and was with the team throughout training camp in 2018 before being placed on injured reserve and later waived, with Seattle eventually trading for Brett Hundley to serve as the backup to Russell Wilson. Davis played in 16 games in the NFL from 2012-17, getting two snaps with Seattle as Wilson’s backup in 2017. Lewis has familiarity with Carroll, having worked at USC from 2006-08 as an assistant under Carlisle. 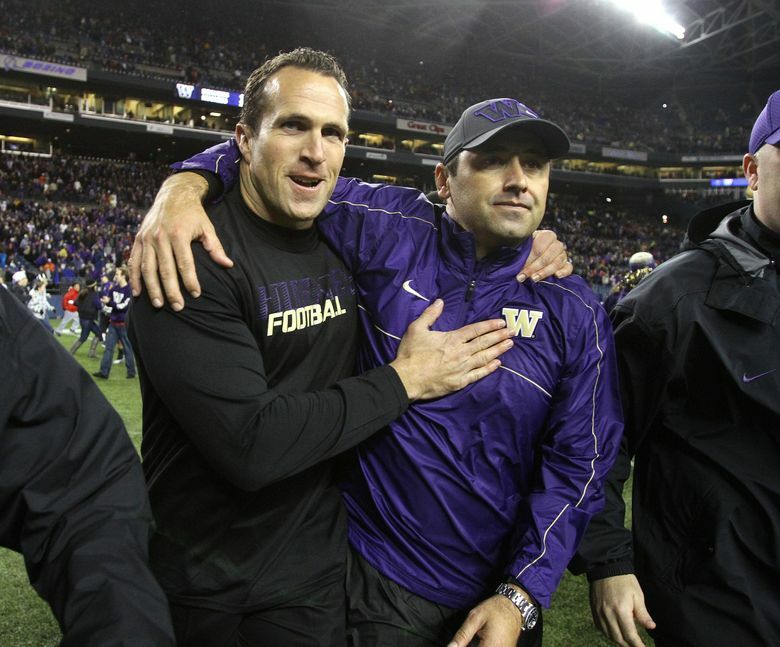 He followed Steve Sarkisian from USC to UW to head the Huskies’ strength and conditioning program for five years before returning to USC when Sarkisian got the head coaching job there in 2014. Lewis remained at USC as head strength coach after Sarkisian was fired and has worked there the past five seasons. Carroll has not met the media since the end of the regular season so there has been no official explanation on the change in the strength staff — he is scheduled to talk to reporters Thursday at the NFL combine in Indianapolis. The 40-year-old Lewis has lots of Pacific Northwest ties, having attended Idaho, and then getting his start as an assistant football coach and strength and conditioning coach at Mount Si High School in 2000 and 2001. Lewis also has ties with Wilson, having conducted some offseason work with him in 2016. In a 2009 profile in The Seattle Times, Lewis talked about how a trip to the UW training room during his time at Mount Si spurred his decision to get into athletic training. He also talked of the suicide of his younger brother, Ryan — who had battled depression for years — only reinforced that he wanted to work in a field where he felt he could help shape lives for the better. “You can really mold someone and help someone’s life by giving them the confidence to be better,” Lewis said then. During his time at UW in 2011, Lewis also helped some of the Seahawks train while players were locked out of NFL facilities. A tweet from the Seahawks stated the team had “announced their 2019 coaching staff” indicating that no further changes are coming for now. Lewis previously spent time on the strength staff of the San Diego Chargers in 2004 and 2005, and before that spent two years at the University of San Diego where he earned his master’s degree in leadership studies. Lewis, who is a Certified Strength and Conditioning Specialist (CSCS) and is certified by USA Weightlifting, was also an assistant football coach and strength and conditioning coach at Mount Si High School in Snoqualmie. Joining Lewis from USC is Philipp, who was an assistant strength and conditioning coach at USC last year, and before that was Nebraska’s head football strength coach from 2015 to 2017 under head coach Mike Riley. Philipp also worked with Riley as an assistant strength and conditioning coach at Oregon State from 2009-2013. Philipp moved to USC in 2013 where he served as an assistant strength and conditioning coach. Steen, a former standout linebacker at the University of Iowa, also worked with Lewis at USC, and has also spent time at the University of Washington, Stanford University and the University of Minnesota. Garcia previously was a member of the Seahawks’ sports science department since 2013. Idzik, a Mercer Island High School graduate who played receiver at Wake Forest, is the son of John Idzik, who served as Seattle’s vice president of football administration from 2007 to 2012 before becoming the general manager of the New York Jets in 2013. He had been at Stanford working as an offensive graduate assistant.